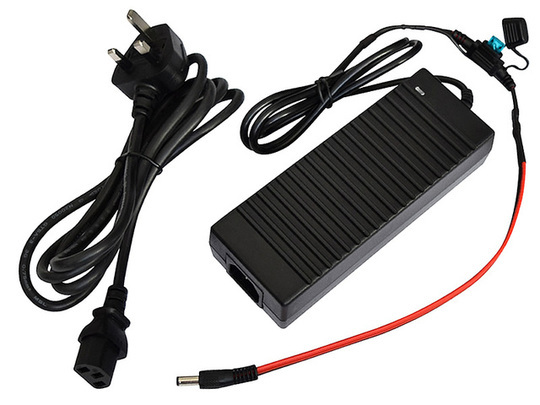 This medium-duty mains AC to 12V DC adapter is ideal for powering smaller-sized linear actuators and DC motors where the total continuous load is expected to be below 6A. The power supply is capable of supplying larger currents for short periods (up to 10A peak) and includes a standard automotive blade fuse holder on the output, fitted with a 7.5A fuse. 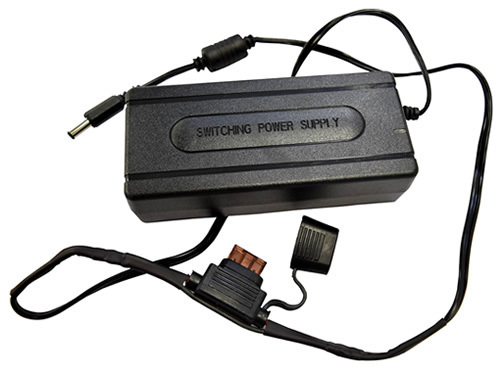 The adapter is built in the style of many laptop power supplies, with a rectangular body and IEC C13 type socket. 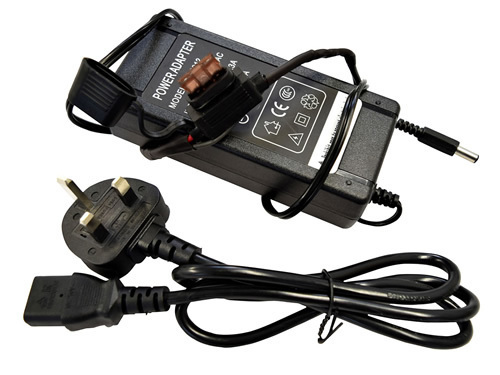 A 1m long mains AC lead is included with options for either a UK 3-pin (as pictured) or EU 2-pin fused plug, selectable below (a 5A mains input fuse is appropriate for this size of power supply). The output cable from the adapter is 0.9m in length with a male DC barrel connector at the end (2.1 x 5.5mm). The power supply can accept an input of between 100V~240V AC, 50/60 HZ. Unlike many similarly sized power supplies intended for powering LEDs and other regular-load devices, this power supply is capable of powering small to medium sized electric motors (inductive loads) which can have a high start-up current. Make sure that any devices connected to the power supply can handle the high short term current that it may provide; in some cases it may be appropriate to replace the fuse on the output with one of a lower rating to protect connected devices, however you should never replace the fuse with one of a higher rating (than the supplied 7.5A). To give examples of the supply's capability, it may power up to two GLA750, GLA200 or GLA600-S actuators simultaneously, or one GLA1500-N actuator. For larger actuators than this such as the GLA4000-S model you should look at our larger 12V 10A power supply. 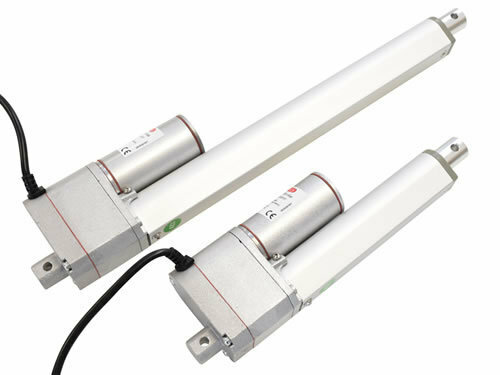 Great value compact 12V linear actuators stocked and sold in the UK by Gimson Robotics. Up to 750N/76kg of force and low noise operation. Compact high force linear actuator with potentiometer-based position feedback enabling accurate control. A compact and fast travel (29mm/s) 12V linear actuator stocked and sold in the UK. Up to 200N/20kg of force and low noise operation.